Rolling down the windows has been shown to have little effect on the temperature inside a car. On a warm day, the temperature in a car can exceed 120° in a matter of minutes—even with the windows partially open. Never leave your pet unattended in a parked car for any period of time. And heat stress isn’t the only danger your pet faces when left alone in a car. 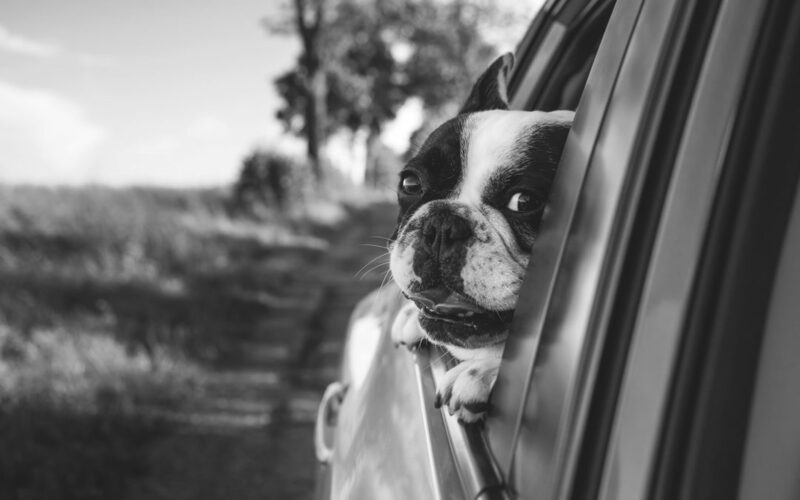 Many pets are stolen each year from unattended cars. Signs include heavy panting, glazed eyes, a rapid pulse, unsteadiness, a staggering gait, vomiting or a deep red or purple tongue. If your pet is overheated, immediately bring them to a cooler place, offer cold water and sprinkle (don’t immerse) them in cold water as it can be dangerous to bring their body temperature down too fast. Cold wet towels work too. And get them to a veterinarian as soon as possible for the appropriate treatment.